Seabourn Quest was one of three new vessels that represented a radical design direction for Seabourn. Since pioneering its style of cruising in 1988, the luxury cruise company had operated three 208-passenger ships that are now more than two decades old. Then in 2009, Seabourn introduced a new class of vessel. Designed by Norway’s Yran & Storbraaten Architects, Seabourn Odyssey was hailed by some as “a game-changer for the ultra-luxury segment,” when she debuted in 2009. Indeed, Seabourn Odyssey offered a wealth of amenities made possible by what was then one of the highest ratios of space per guest in the cruise industry. Silversea Cruises’ Silver Spirit, which also debuted in 2009, has a space ratio of 66.6, while Seabourn’s Odyssey-class vessels boast a slightly higher space ratio of 71. 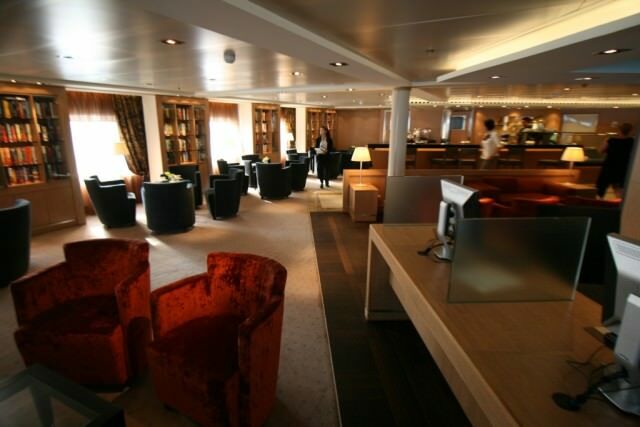 In 2013, Hamburg-based Hapag-Lloyd Cruises blew away both ships when it introduced the ultra-luxury vessel Europa 2 with a space ratio of 83. 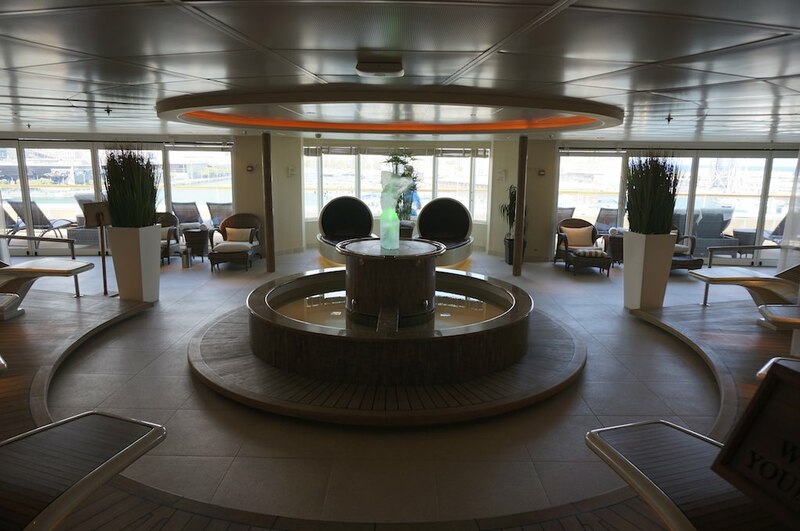 Some of the high-profile amenities on Seabourn Odyssey included the largest spa on any luxury ship and generous private verandas on 90 percent of her suites. Two identical sisters followed, Seabourn Sojourn in 2010 and Seabourn Quest in 2011. 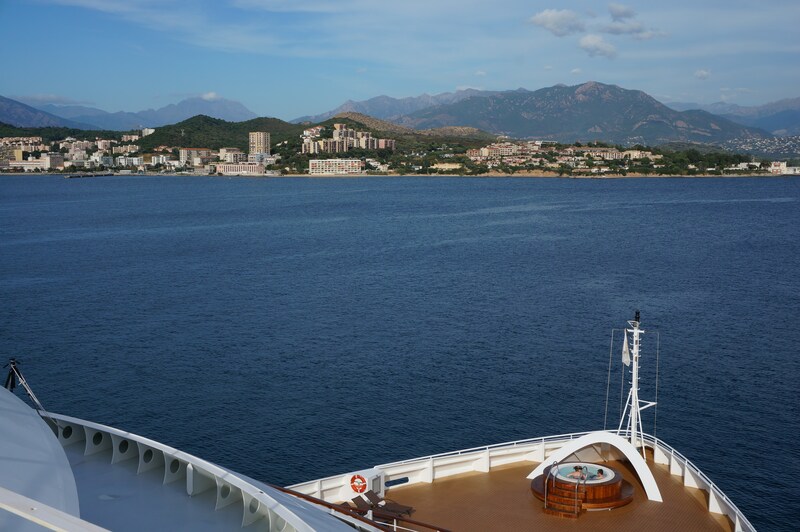 Today, Seabourn Quest and her sisters are among the most beautiful luxury ships afloat. About twice the size of their three older fleetmates, which depart the Seabourn fleet in 2014 and 2015, the newer trio, measuring 32,000 gross tons and carrying 450 guests each, pack twice the punch while maintaining the same sense of calm, Scandinavian luxury. What distinguishes the Seabourn Quest and its sisters within their competitive set? 1. Young ships. To begin with Seabourn Quest and her sisters make up the youngest fleet in the luxury cruise segment. The new generation of ships have all been constructed since 2009, so what you’ll find are elegant, modern vessels that appeal to sophisticated travelers of all ages. Physically, the ship is stunning in the most understated, tasteful, but obviously expensive kind of way — more Coco Chanel than rococo Carnival. Where many ships drown their public spaces with wild colors, textures, and eye-catching artwork, Quest and her sisters go the opposite direction, with little ornamentation to clutter the well-honed effect of their beautifully designed wood, leather, marble and onyx interiors. 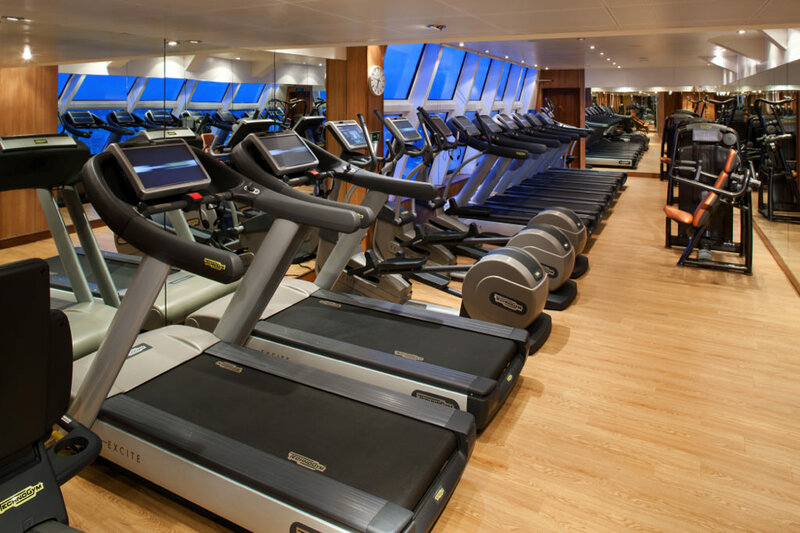 On the whole, the ship maintains a nice sense of quiet, with almost no announcements and none of the in-your-face activities you find on many mainstream ships. Activities, such as they are, include wine tastings, ballroom dance classes, yoga classes, cooking lessons, bridge games, and golf-putting tournaments, but if you’re a movie fan, you may not ever make it out of your cabin since the on-demand selection on the stateroom TVs is stunningly large and varied. 2. Capacity. 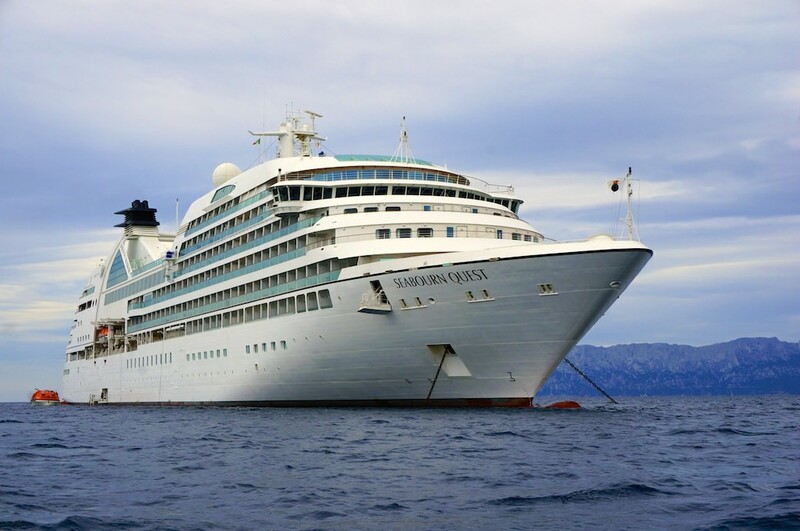 Luxury ships within Seabourn’s competitive set generally carry around 300, 400 or more than 500 guests. 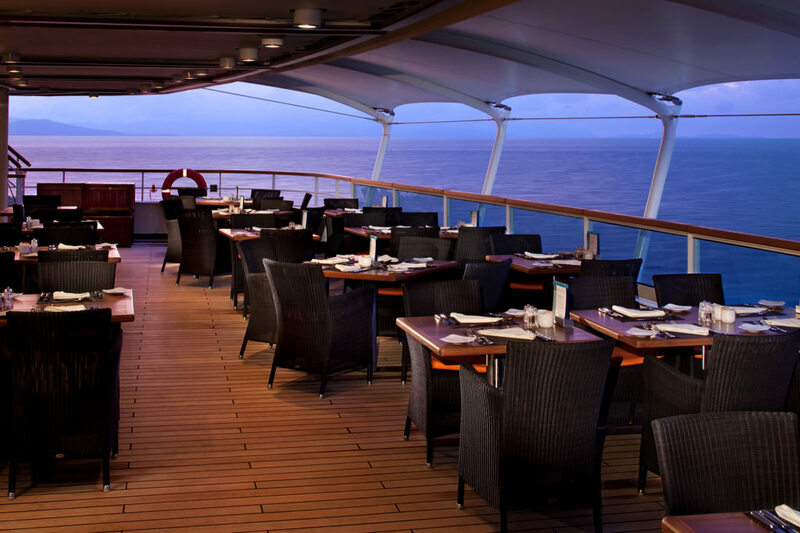 Seabourn’s vessels split the difference, carrying 450 guests each. Who is to say what makes the optimal number? But 450 is large enough to have multiple dining venues, two pools, whirlpools, lots of deck space, a beautiful spa, fitness facilities, gorgeous suites — and yet, because of their small size, the Seabourn ships still feel intimate and uncrowded. 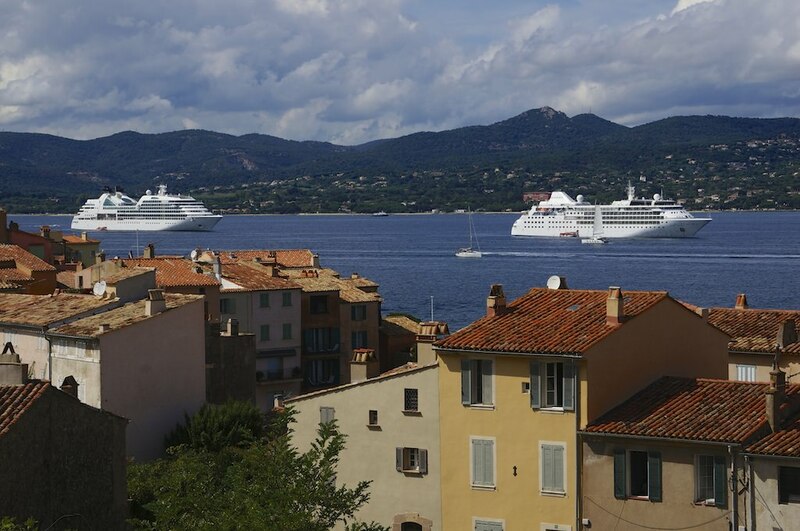 The small size of the Seabourn vessels also means they are capable of visiting both marquee and small ports of call. 3. A twist on the purser’s desk. 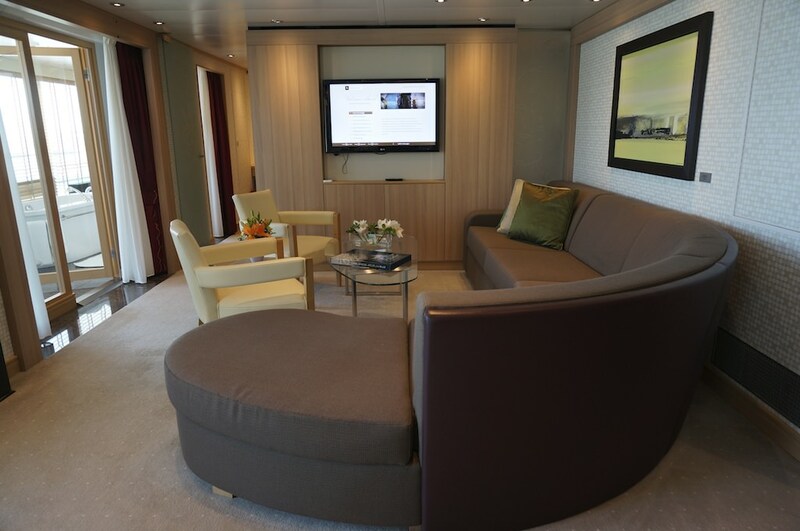 Seabourn Square represented an innovative concept when it debuted on Seabourn Odyssey. Designed to replace the traditional purser’s desk found on other ships within Seabourn’s competitive set, Seabourn Square serves as the central hub for guest reception, shore excursions, internet access, shops, coffee shop, library and a lounge-like area with massage chairs, couches and lots of places to relax. 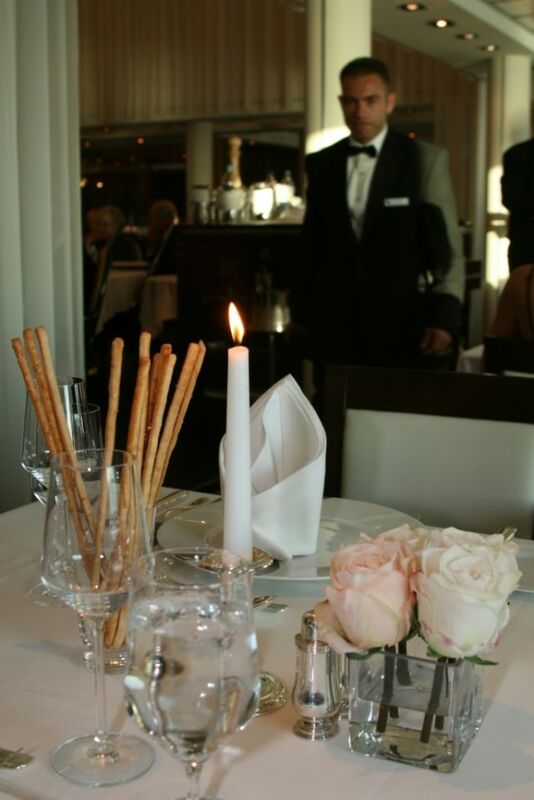 One aspect of Seabourn Square that we appreciate is that guests sit, instead of stand, when at guest services. 4. Plenty of places for a soak. 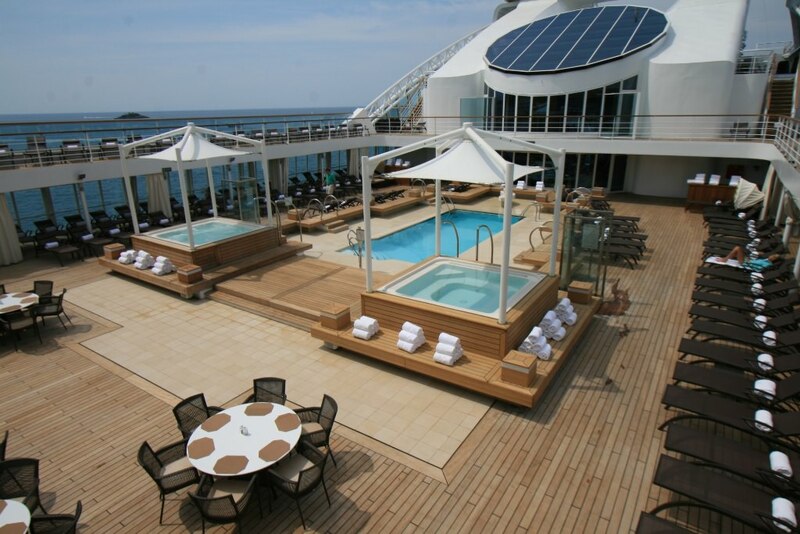 Seabourn’s new vessels emphasize exterior deck space, which is why you’ll find not one, but two pools. The midships pool is complemented by an aft pool, with two whirlpools on each side — and an ocean view. 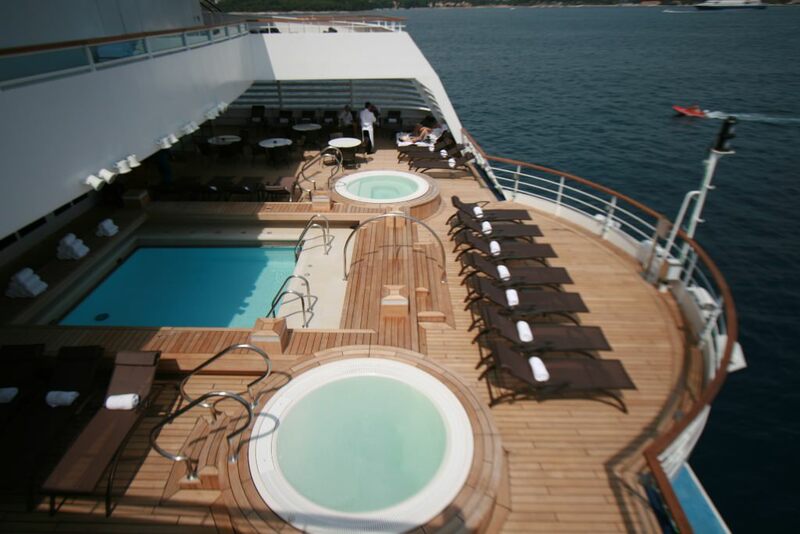 Pool deck on Seabourn’s Odyssey-class ships. © Ralph Grizzle. All the way forward on deck 6, you’ll find another whirlpool, and sunbathers will discover a separate deck up front and up top just for them, the Sun Terrace. 5. Serenity. Enjoy a spa treatment at the 11,400-square-foot spa, a gorgeous space highlighted by aromatherapy steamrooms and an indoor/outdoor relaxation area known as the Serene Area, a well-deserved name for this gorgeous and relaxing space. You can also work out at the surprisingly large gym with its treadmills, weight machines, and “Kinesis Wall” strength-training machines. The Gym on Seabourn Quest, Odyssey and Sojourn. 6. Watersports. 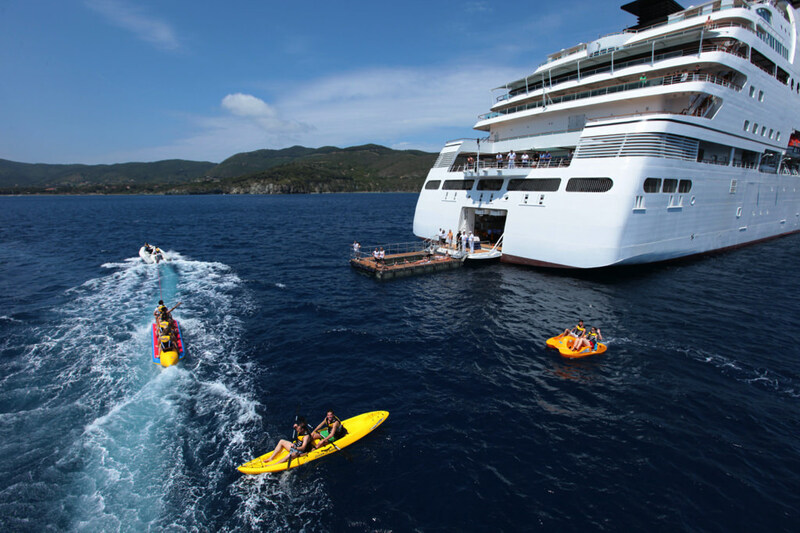 Seabourn’s vessels feature watersports from the rear of the ship. Straddle a banana float for a banana boat ride, go sailing and even water-skiing — all at no additional charge. When at anchor, Seabourn ships often open the marina for water-sports activities. 7. Four dining venues. 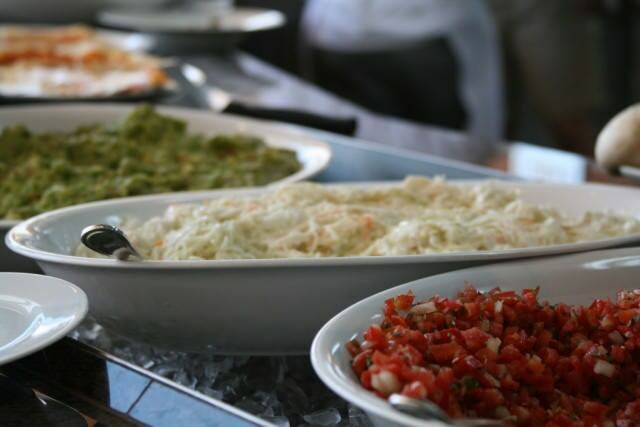 At mealtimes, guests have four options. The ship’s main restaurant, called simply The Restaurant, is a completely stunning space done completely in white and pale gold with billowing white curtains segmenting the space and adding intimacy. The room’s central two-story section, directly under its glittering central chandelier, is its grandest spot and is capable of seating all guests at once. Another dinner option is Restaurant 2, which features 5-course tasting menus. The ambience is more casual than at the Restaurant, but the presentation doesn’t suffer, with mainly meat and seafood dishes perfectly prepared and creatively presented. There’s also a poolside grill called the Patio Grill (open for lunch and dinner), plus a casual indoor/outdoor restaurant (the Colonnade) that serves buffet and made-to-order breakfasts and lunches, plus regionally themed “Elegant Bistro” dinners, with table service. 8. Suites. 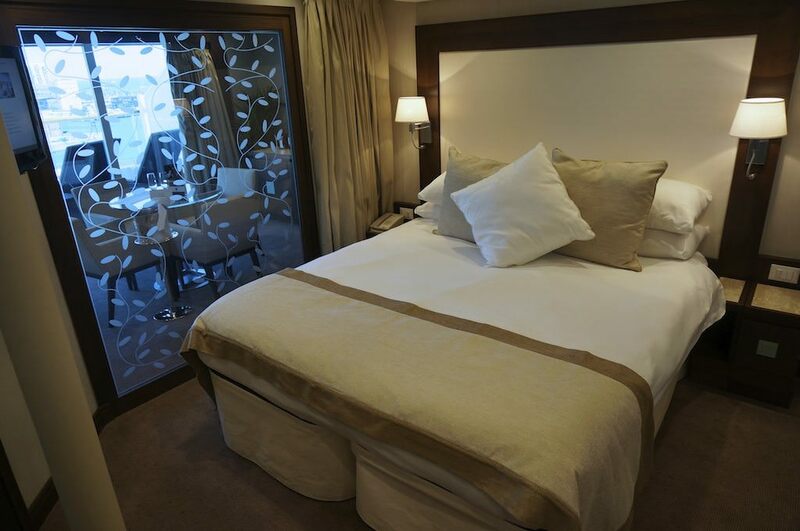 Seabourn Quest’s staterooms and suites are all outward-facing, and all but 26 of them offer private balconies. Decor is understated and stylish and the layout is spacious and cool, without any sense of clutter. The most common accommodation aboard is the Veranda Suite, which offers about 300 square feet of interior space plus a 65-square-foot balcony. A curtain divides the large living room and bedroom areas, which are outfitted with a queen-size bed, walk-in closet, stocked bar and fridge, flatscreen TV, and a large marble bathroom with separate tub and shower. The LG flat-panel TVs are highly interactive, and with more than a few weeks’ worth of free movies on demand. High-end suites add high-end luxury: At nearly 1,000-square-feet each, for instance, the Wintergarden Suites offer two bedrooms, a separate dining area, a huge balcony, and a glass solarium with a day bed and whirlpool tub. All suites feature separate living areas and bedrooms, writing desks with personalized stationery, iPod and MP3 connections and spacious granite bathrooms with separate bath and shower and twin sinks. 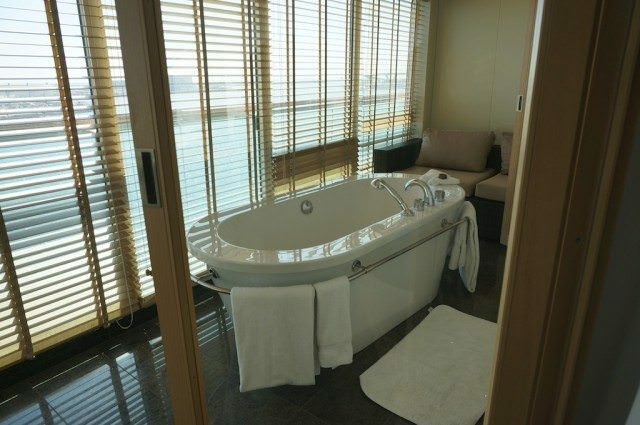 Seabourn Quest’s four new Penthouse Spa Suites, which were added during Quest’s recent drydock, are situated directly above the Seabourn Spa. 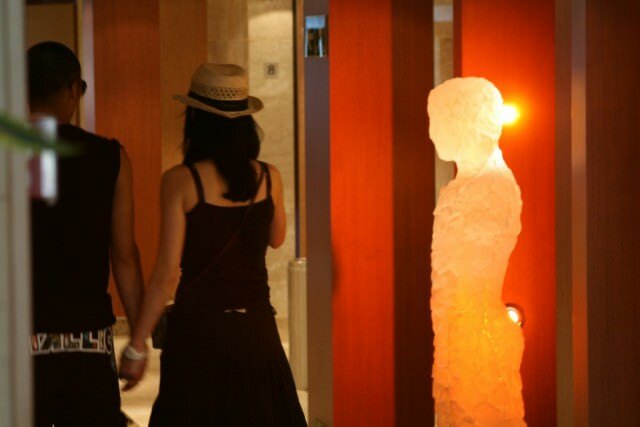 Simply walk down the spiral staircase to the Spa Lobby to take advantage of complimentary services provided by the Spa Concierge and free daily access to the spa’s Serene Area. The four suites range from 516 to 538 square feet of inside space, with expansive aft-facing private verandas measuring 172 square feet. Each suite features a living and dining area with seating for four, a separate bedroom, walk-in closet, glass door and floor-to-ceiling windows onto the veranda, a bathroom with a tub and special spa shower, and two flat-screen TVs. The Avid Cruiser’s Take On Seabourn Quest: Like all of the Seabourn ships — and like all real luxury vessels — Seabourn Quest is all about providing a venue where people who just want to relax can do so, while quiet, polite staff scurry around bringing them refined things: a cup of tea, a cucumber sandwich, suntan lotion, a drink from the bar (included in the price, of course), and even a moist towelette to clean your glasses. The watchword is quality: There’s no cheapness on this ship, no cutting corners on the assumption that guests won’t know any better. Everywhere, in everything — from her sleek design and gorgeous materials to her service, dining, accommodations, and overall atmosphere — Quest shines. Looking forward to sailing on the Quest in December! Thanks for the review – and awesome photos!